Almost 500 flights cancelled, 100.000 affected passengers, travelers having to sleep at the airport, families with kids having to take a bus for up to 4 hours to another airport, … What is wrong at Brussels Airport since Thursday October 25th? Aviapartner, one of the two handlers at Brussels Airport, went on strike right before the holiday week. Usually, this kind of unwarned strike is quick, which is not the case here. The unions are asking improvement of working conditions (materials, schedule, work charge, …) and the transformation of fixed-term contracts to permanent ones. Whereas this could look as an internal issue for Aviapartner, the problem is much broader. What is the current business model of the handling sector? • Vertical boundaries : The handling sector fill in the gap between the core business of the airlines (bring the passenger from airport A to airport B) and core business of the airport (taking care of the passenger before entering the plane and when leaving the plane). All aside activities (luggage, push back, catering,…) would be difficult to handle for an airline for each of the airport it flies to. Imagine the operational nightmare and the additional costs having to complete all these tasks in a new country while the destination can be flied only once a week. Not considering that the route can be stopped after 1 year of operations. This why the role of the handler is vital in aviation industry. According to IATA, airlines outsourced more than 50% of ground handling in 2012 (increasing trend). 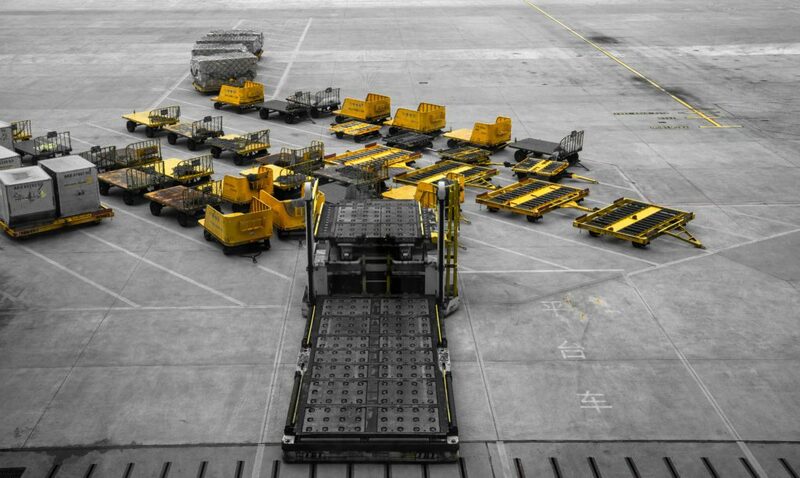 • Horizontal boundaries : The handlers can be active in all types of activities (check-in, boarding, luggage, lost&found, push backs, airplane cleaning, catering,…) or only in part of it. Agreement to operate is given by airport through licenses for each type of activity. • Nature of the competition : At Brussels Airport, the competition is limited by law (via licenses). The airport cannot have more than 2 handlers currently, which means a duopoly. If the airport reached 24 million passengers for 2 years in a row, a third handler will be accepted. Currently, the two handlers are Aviapartner and Swissport. What is going wrong then? As a duopoly with the same product offering, the two handlers are mostly fighting on price. To be able to offer the lower prices, each company tries to decrease salaries, working conditions, materials,… This lead to poor services (delays, missing bags,…) and recurrent strikes (unsatisfied workers). According to us, the responsibilities are shared between 3 parties : the handlers, the airlines and the airport. • Handlers : By fighting mainly on cost, they decrease working conditions and service. Investments are reduced to a minimum with limited focus on innovation. Differentiation between handlers should be made on service, products,… instead of price only. • Airlines : As customers, airlines have the power to accept the price competition. Having a view on pricing at lots of airports, they should be able to notice when the price seems too low. If they accept a low price, they need to face the consequences that we currently see (strike). • Airport : Brussels Airport can play on their conditions for licenses in their selection process. They could adapt the legislation to make sure investments are made. At its hub, an airline could decide to integrate vertically and play the role of the handler (i.e. Qantas in Sydney or Melbourne). However, this is a complex matter as it needs to integrate an activity which is not its core business and where economies of scale are essential. To be able to do so, you also need to have a rather stable activity across the day, with at least 2 peaks of departure (i.e. Brussels Airlines has only 1 peak of departure for intercontinental flights). The realistic solution would be to pay the right price to the handler. This price should include decent working conditions (work is very physical and stressful), room for investment and a decent margin for the handler to avoid taking it from the investments. A win-win contract between airline and handler would be natural for airlines in their hubs, where disruption can be very costly. This is the choice Brussels Airlines made earlier this year. However, other airlines at Brussels Airport don’t have lots of incentives to do so. The impact of a disruption in operations would be rather limited for them (<10 flights per day) vs the gain of low handling price.